holidays hit, the park is also privy to grand decorations and festive celebrations. Take a walk with the family through the orchestra pit to see the grand tree. There you’ll find scenes depicting the first Christmas and the nativity scene if you want to take the time to talk to your children about where Christmas comes from. After you’re through, head on over to the Old Globe where you’ll find yourself right in the middle of Dr. Seuss’s world. 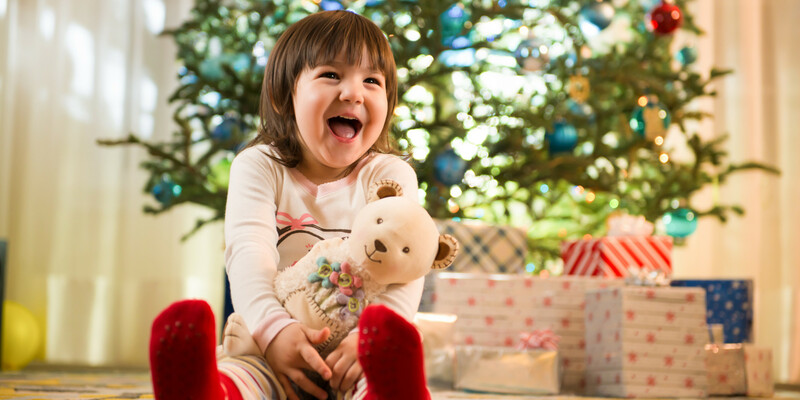 From a Grinch-like tree, to characters taking pictures, you’re children will find themselves enjoying the festivities of a favorite book. You can also purchase warm drinks and lunch at the bistro here if you’re looking for something to tide you over. If you’re able, consider catching a show of How the Grinch Stole Christmas with the family to bring on the holiday cheer. Looking for an excuse to meet Santa? What better place than at Petco Park’s Winter Wonderland. Here, the usual home to the San Diego Padres, transforms into a winter haven filled with wonder, delight, and even snow. Let your preschooler check out the reindeer and catch a pic with Santa. Grab a cup of hot cocoa and wander around the light displays, listen to the music, and even go tubing. The event is only available on limited days, however, meaning that you’ll need to plan your outing accordingly. Looking to get tickets at a fraction of the cost? Check out the Good’s where you can find coupons to get the price of admission down from $20 for adults and $10 for kids to $8 and $4 respectively. grabbing the family, filling up some mugs with cocoa or cider and driving to some of the best destinations for light viewing. From homes like Belardo Lights where you’ll find music timed perfectly to the light display, to blocks of lights such as Starlight Circle and Candy Cane Lane, you’re sure to find something for the whole family. As an added bonus, the Belardo Lights display sheds light (hehe) onto autism and puts all funds collected toward charities involved with the cause. Be sure to arrive early as most lights are out by 9pm on weekdays and 10pm on weekends and parking can be tough. Also, take care to bundle up so that you can get out of the car and walk around some of the longer routes. Not only is this something your preschooler will enjoy, but also the entire family. For a full list of holiday lights check out San Diego Family’s complete list. You’re in San Diego—so why wouldn’t you expect to find lights on the water? Grab your family and head on down to Shelter or Harbor Island, the Embarcadero, Seaport Village, or the Ferry Landing in Coronado to catch a display of lights unlike anywhere else. The boat parade will be held this Sunday, December 20th and show a parade of local San Diegans and their boats decorated to the nines out on the water. Bundle up and make a night of it, taking in the lights before walking around the various locations and checking out how the holidays are celebrated by the sea. The event begins at about 5:30pm and goes for a couple of hours. For full details, check out San Diego website’s complete information. When is the last time you had an excuse to head out to Coronado Island? Gather up a group of your family, friends, and your preschooler’s friends to check out one of San Diego’s oldest and grandest hotels. The Del at Coronado houses a beautiful Christmas tree and also has affordable ice skating—right on the water! Nowhere else can you get the experience of sand and ice in less than three steps, making this truly a tradition to cherish. When you’re done, head on over to Miguel’s for dinner and enjoy the holiday season from start to finish. What budget friendly activities do you recommend for San Diego preschool students and their families? Comment below with any suggestions and tips for slowing down and enjoying the holiday season!